The Count of Monte Cristo is an epic novel by Alexandre Dumas that chronicles the life of Edmond Dantès, a young man wrongly imprisoned, who disguises himself as the title character and enacts a stunningly complex revenge on those who had him locked up. It is long and complicated novel that requires complex flowcharts to understand who is who and is considered a classic piece of literature. Crisco is a oil based shortening marketed by J. M. Smucker Co, used by Southerners to make pie crusts, cookies, sculptures and to slather on toast. Combine them and you get a Chevy Monte Carlo; a big luxury coupe with a French name, but pure 'Merican crust on the underside. 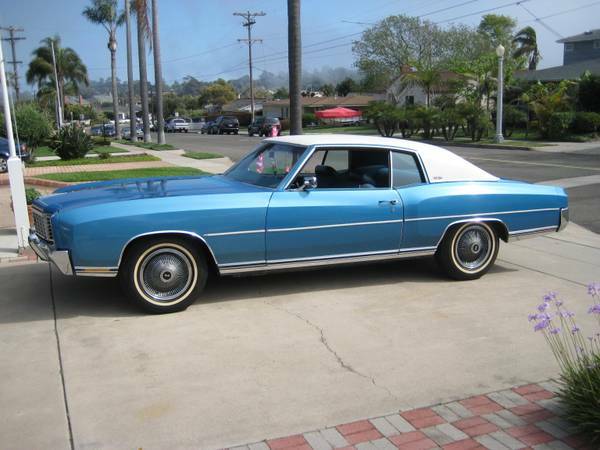 Find this 1972 Chevrolet Monte Carlo for $11,000 located in Point Loma, CA via craigslist. To the peanut gallery in the comments sharpening pitchforks: I know that Edmond Dantès wasn't a pirate, but damned if it's hard to find a good excuse to use the Pirate Powered badge...so....today just for fun, we'll pretend he was a pirate, no arrrrguments please. 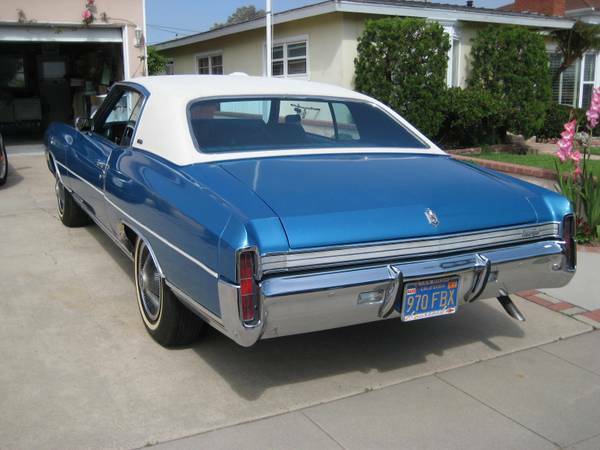 We aren't going to pretend that $11k is a great price for a '72 Monte anything, because we aren't those guys...but this thing is remarkably clean for what it is. The seller claims to have inherited it from his grandpappy, and that is fine by us, but we'd require some pics for proof. What is easier to prove is that it's got a 5.7 liter Chevy 350 V8 equipped with a tracheotomy sized carburetor to wheeze out 175 horsepower (seller doesn't specify if its a 2-bbl or 4-bbl, but in smoggy Cali only 4-bbls were available from the dealer and that looks like a vintage blue plate, although the 970 prefix indicates it was issued in 1977-78..update according to an anonymous source the suffix FBX indicates a 1972ish issue.) Monte Carslow indeed. The only thing that redeems the 165 horsepower in a 4000 lb car with a mayonnaise colored vinyl top is the fact that this thing looks incredibly nice. $11k nice? Maybe wait a few months and see if the price drops...but it probably doesn't matter because you aren't going to be freed from your cell in the Château d'If anytime soon. After you get out though, an LS swap would wake this thing right up. The F prefix on the last 3 letters of the blue plate indicates that it was issued around mid to late 1972. The first 3 numbers have no bearing on the year. I must have American-malaise flowing through my blood. Always liked the "personal coupe" cars. Nice lines, white over blue, Landau-trim... Paging Iceberg Slim... you have a hoe on Line 2, I repeat a hoe on Line 2.